[title] => How to purchase a diamond engagement ring for first timers! So you found the love of your life, and now you’re ready to pop the question; Congratulations! Now the hardest part of all that is finding the right ring and figuring out how to make her utterly speechless with a picture perfect moment. We understand… it can be very stressful. But that’s okay! Breathe and relax… Keep these 5  things in mind, and you’ll find the perfect ring for her to cherish for the rest her life! 1. Know how much you want to spend. Walking into a jewelry store, you will be confronted with a dizzy array of choices when it comes to engagement rings. To avoid that, have a price range in mind! Then your eyes and mind can focus on the rings that fit your budget! 2. Get to know what kind of jewelry she wears. Is she more classic or modern? Feminine or sophisticated? Does she wear more silver or gold? Do her pieces tend to be more delicate or chunky? Simple or ornate? If you buy something similar to what she already likes, you can’t go wrong! 3. Know her ring size! As a woman, I rather have the ring be a little bigger on the finger than to have it get stuck midway! Therefore, here’s a tip! •    If she wears a ring, borrow one she already owns and trace the inner circle on a piece of paper. •    You can also slide it down to one of your own fingers and draw a line where it stops. A jeweler can use these measurements to identify her approximate ring size. The average ring size in the US is a 6 (based on the “average” US females being 5’4 tall and weighing 140 lbs.) If she’s more slender, or fine boned, her ring size is probably in the 4 ½ or 5 ½ range. If she is heavier, larger boned or taller, her ring size is probably in the 6 ½ to 7 ½ range. Like I mentioned, it’s always better to a buy a ring a bit bigger than you think she’ll need, because sizing a ring down is much easier than increasing its size. 4. Know what diamond shapes suits her. •    She will be wearing this ring 24/7 every day for the rest of her life. It will need to go with everything from her causal clothes to her evening gowns! If you’re unsure about her shape preference, its best to stick to the classics. •    Shapes with fewer facets, such as emeralds and princess cut (Square) require higher clarity. The fewer the facets, the more visible any inclusions will be! •    Shapes like round, oval and marquise all work well together with other gems. Pears and heart shapes are more challenging. •    Tastes in shapes often reflect in other taste that your lady has. Think of her furniture. If she prefers clean modern line furniture, she’ll react well with emerald or square shapes. If her furniture tends to be traditional, round shape is probably the best choice! If she prefers a fancier taste to furniture, she would probably like the more unusual shapes like trilliant or marquise! 5. What setting makes sense? •    Solitaire: A single stone. Still the most popular choice in engagement rings. The head secures the diamond and prongs allow the diamond to catch the most light. Four prongs-settings shows more diamond, but six prongs setting is often more secure. •    Sidestone: Diamonds or other gemstones, flank the main stone for additional sparkle and color. Popular sidestone settings include “channel” which protects stones by keeping them flush and “bar-channel” which allows more light to enter the sidestones. •    Three Stone: one diamond for the past, one for the present and one for the future. 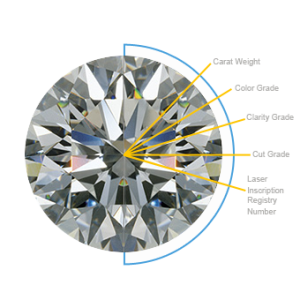 Usually the center diamond is larger than the two side stones. •    Pave (Pah-vey): The main stone is surrounded by diamonds to add sparkle and the illusion of greater size. Everything making sense? To make all this easier, the main point is this. Consider her lifestyle and how well a certain setting will fit into it. If she loves outdoors and she’s active, look for lower profile, less ornate, and sturdy choices. This will make it less likely to get knocked or get caught onto things. If she’s more of a glamour girl, look for a statement ring, with a higher profile and more ring detail or unique motif! You know your woman the best. Whatever you choose to surprise her with, I’m sure she’ll fall in love! Good luck! As irresistible and desirable as diamonds may be, have you ever wondered what the biggest diamond ever discovered is? Well, get ready for your eyes to sparkle and your jaws to drop, because even till’ this day… there’s no other rough diamond that’s bigger than what you are about to feast your eyes on! On January 25, 1905, a man named Frederick Wells went 18 feet under the earth and into the Premier Mine in Pretoria, South Africa for a routine inspection when he spotted a flash of starlight embedded in the wall. Wells quickly scaled the wall and extracted from the ground what appeared to be a large crystal. Tests after test, it proved to be the largest gem-quality diamond ever discovered; weighing at 3,106 carats or 1.33 lbs.!!! Frederick Wells presented the rough diamond to Sir Thomas Cullinan (who was the owner of the mine) which the rough diamond was named after. Frederick sold the diamond to the Transvaal provincial government, which presented the stone to Britain’s King Edward VII as a birthday gift. The Cullinan was insured for $1,250,000 when it was sent to England. 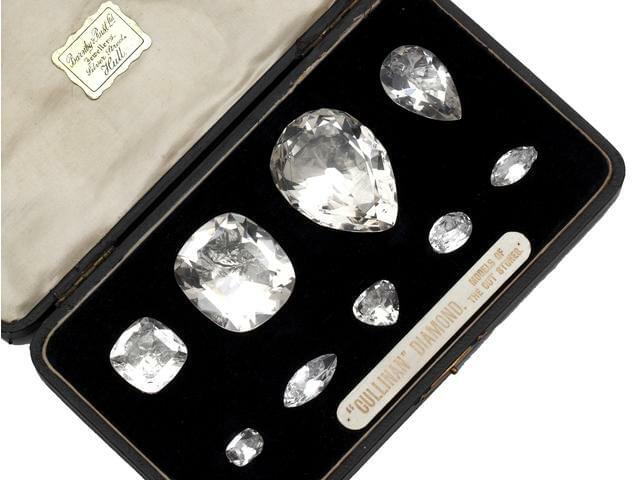 Worried that the diamond might be stolen in transit from Africa to England, King Edward arranged to send a phony diamond aboard a steamer ship with detectives; meanwhile the real Cullinan was sent to England in a plain box. It’s beautiful, it’s BIG, & most of these diamonds are mostly in the possession of the Royal Family or mounted on the British Crown Jewels. If you are looking to sell your used diamond jewelry, there are a lot of variables to take into account. Recently jewelry trading parties have seen a surge of popularity in big metropolitan New York. Naturally, one would think they could take advantage of such an event to get a great deal on heirloom quality jewelry. Almost everyone, after all, has heard the story of the kid who bartered his way up from an old cell phone to a stunning exotic Porsche sports car. Unless you are experienced in bartering, you run a very high risk of getting ripped off. However, oftentimes consumers unknowingly short change one another. Only a year ago, Gemisis proudly launched its new line of “lab created” diamonds. The science behind this is incomprehensive to the average Joe. Unless you work in science you have no idea how much pressure, heat, energy, and mineral concentrations are required to recreate this natural masterpiece. While lab created diamonds sound futuristic and glamorous, this brilliant business concept has received a lot of support from ethics and non profit organizations. Who knew that shopping for your dream ring could inspire positive social change? The positive implications of this growing industry start at the source; the diamond mines themselves. While most consumers would rather bury their heads in the sand, the harsh reality is that a massive percentage of diamonds sold on Fifth Avenue originate from Congolese mining cartels. These groups perpetrate shocking and sad crimes against humanity. The working conditions and employee rights in these mines are what earned the regions’ resource the notorious “blood diamond” name. Extensive documentation indicates that a significant percentage of the workers in the mines would be considered under the age of majority in western countries. Luckily, the advent of artificially produced diamonds may spell the end of this horrific chapter in history. Despite the Nobel intentions of lab made diamond start-ups, it makes sense for consumers to hold off on trading their conventional diamonds for the next several years. It’s easy to get sucked in by the marketing hype of any company. Gemisis announced that their diamonds were “equal to the best quality mined diamonds” It’s imperative to understand that companies are very concerned about abiding by the regulations and compliance standards that apply to everything from ad copy on their website to new stories and press releases. After all, quality is somewhat subject. The company did not refer to the market value of these items. Indeed, there is not enough consumer confidence make some guaranteed short term cash of these new diamonds. This should be a no-brainer considering the wholesalers and retailers are selling them at virtually identical rates to their conventional counterparts. If you are in a tight financial situation you’d better wait it out for a couple years until the market demand for these diamonds increases. However, if you have a lot of money to invest this could be an unparalleled opportunity to make a lot of cash over the next year. After all, due to a recently conducted poll close to ninety percent of Americans would be willing to purchase a product if it was socially and environmentally friendly. Diamonds are more than a girl’s best friend. For hundreds of years they have been an integral part of heavy-duty industrial equipment. After all, they are one of the hardest naturally occurring elements on planet earth. This is why they are so highly sought after in metal manufacturing industries. Only a thin coating of diamond is required to optimize the power of a table saw; making it strong enough to cut through steel! Many are under the illusion that the diamond marketplace is a glamorous venture full of easy cash. This isn’t the case unless you are properly educated about all the ins and outs of diamond selling in New York city. Indeed, diamonds are quite literally a tough sell! There are many different varieties of diamonds. If you are unsure whether to hold or sell, it’s recommended to book a consultation with an expert appraisal and learn about what kind of rocks are in high demand. In North America, the yellow diamond is becoming an increasingly popular choice for weddings. It takes the lustrous, rich depth of gold and combines it with the heavenly sparkle of the diamond. Simply put, it’s the best of both worlds. Based on the current trends, you could easily make a small profit if you have a collection of heirloom yellow diamonds. However, the most sought after variety is known as the red diamond. It is, after all, incredibly rare. Most sources cite merely six or seven of these cut fiery gemstones ever recorded in existence around the globe! Many consumers feel pressure to sell their diamonds as soon as possible due to the advent of artificial diamonds. Artificial diamonds are quite literally grown in a lab. What was shocking, however, was the consultation that occurred when a consumer advocacy group took a single lab grown diamond to a major diamond appraisal store in Manhattan. 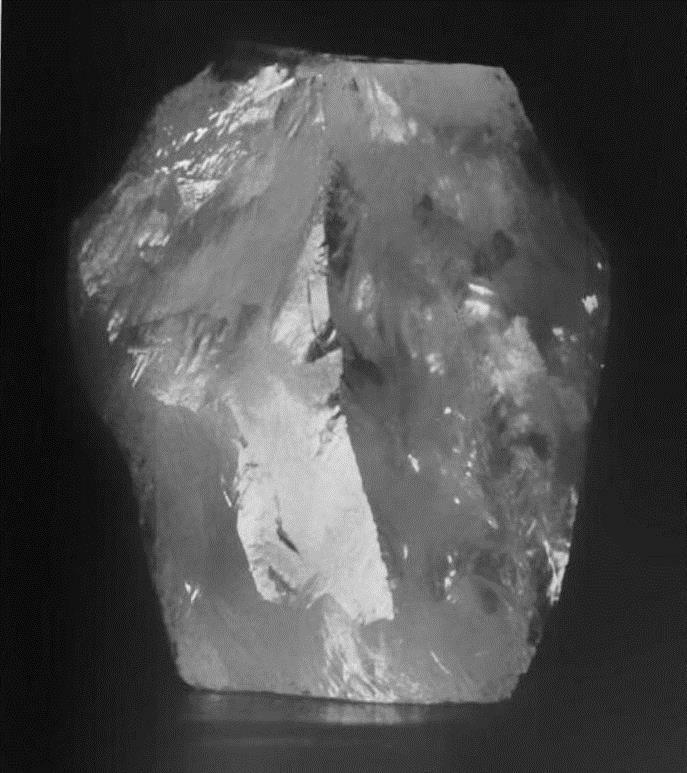 The team never disclosed any information regarding the fact that the diamond had been grown in a lab. At the end of appraisal session, the salesperson gave the group’s representative a very reasonable figure. Most people who are in a financial rut wouldn’t blink an eye at the idea for selling their diamonds at this price. When the representative for the group asked the appraiser whether he was aware of the specimen’s lab-grown origin, he insisted on taking a second look at the diamond. Astonished, he admitted that it was indistinguishable from any of its natural counterparts. While the news about artificial diamonds may seem disturbing to anyone who already owns diamonds, there’s no need to panic quite yet. The cost of purchasing the state of the art lab equipment, world class laboratory space, industrial chemicals, and laboratory employees is out of this world. While the venture can be profitable, an artificial diamond operation would be foolish to sell their products for low prices. In fact, so far all of these multi-million dollar start-ups have priced their diamonds at very similar rates observed in the diamond industry for the past fifty years. [title] => Is your Silverware actually Sterling Silver? Many people think they have real Silverware but come to be disappointed when they find out that it was not real and only plated or pewter. There are many ways of identifying what your silver really is, let me help you with that with a simple few steps. Look for a mark on the silverware of 925, STERLING or 925/1000. The mark is usually found on the underside of the piece of flatware. One of these marks is a surefire way to tell if your flatware is made of sterling silver. Flatware could also be of lower purity such as 90% which would be marked 900, 80% which would be marked 800 or 835 and 70% which would be marked 700. Put a magnet on the silverware to see if it is attracted to it. A magnet will not be attracted to pure silver flatware, only steel and other metals. If the magnet is not attracted to the silverware, there is a good chance it is sterling silver. Wipe the silver with a silver polish cloth gently as if you were trying to clean it. If your silverware is made from any purity of silver you should see black tarnish rub off on the cloth. Pure silver is subject to oxidation just from being exposed to the air. Steel and other metals will not tarnish in this way. Look for a mark on the silverware such as a crown, crest or lion. Sterling silver from countries outside of the United States often has a mark as opposed to STERLING or 925. The marks can be small and hard to see, especially if the piece is worn. A maker’s mark is a fair indicator your piece is pure silver especially if your piece is not attracted to a magnet and black tarnish rubs off on a polishing cloth. 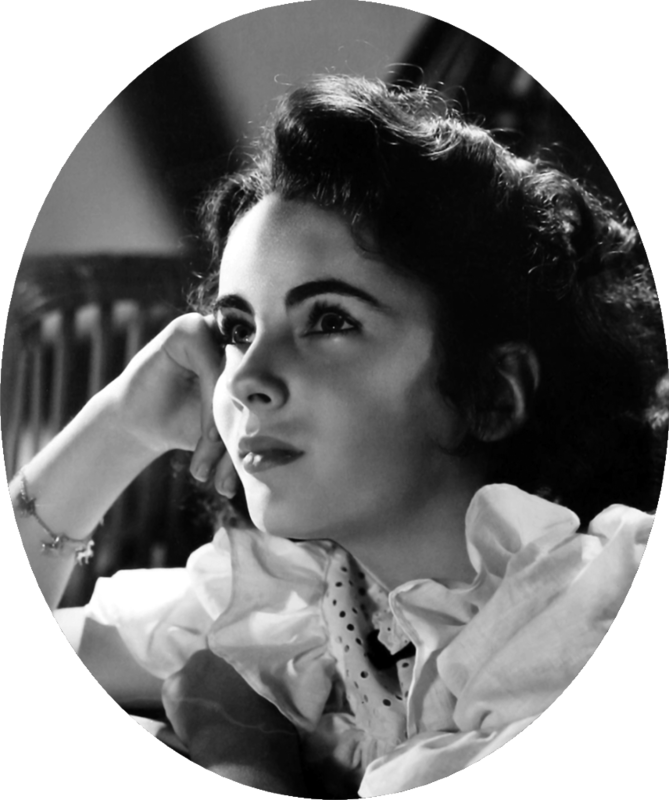 Elizabeth Taylor was undoubtedly the queen of diamonds. The woman had more diamonds than she knew what to do with. But now that this beautiful legend has passed, there is only one thing to do with her diamonds: sell diamonds for cash! (Of course the cash will go to a good cause.) Her exquisite  jewelry, clothing, and art is estimated to be worth around $150 million. They are all scheduled to be auctioned off in December over a four day period. Two of those days alone will be just for jewelry. How to purchase a diamond engagement ring for first timers! Diamonds are more than a girl’s best friend. For hundreds of years they have been an integral part of heavy-duty industrial equipment. After all, they are one of the hardest naturally occurring elements on planet earth. This is why they are so highly sought after in metal manufacturing industries. Only a thin coating of diamond is required to optimize the power of a table saw; making it strong enough to cut through steel! Many are under the illusion that the diamond marketplace is a glamorous venture full of easy cash. This isn’t the case unless you are properly educated about all the ins and outs of diamond selling in New York city. Indeed, diamonds are quite literally a tough sell! Is your Silverware actually Sterling Silver?